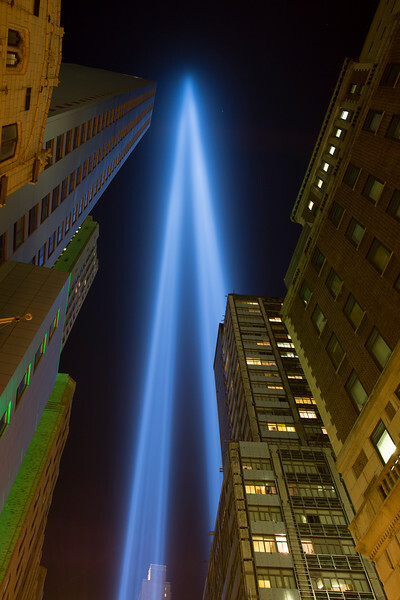 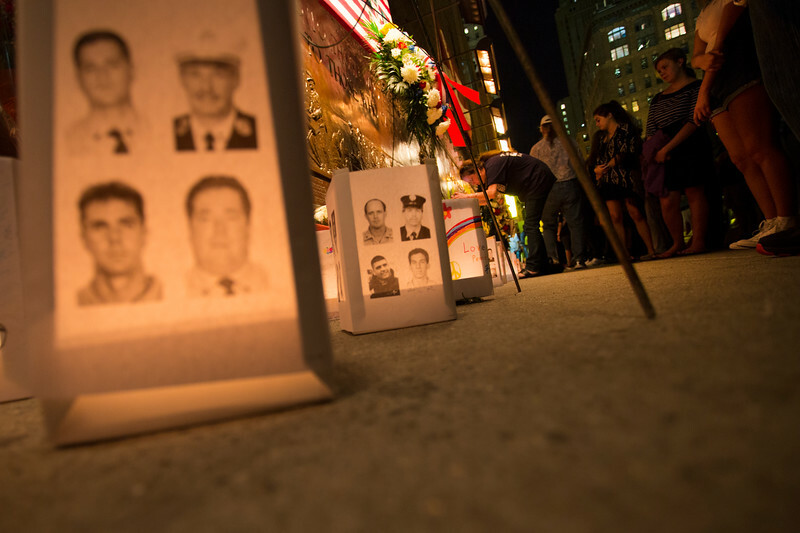 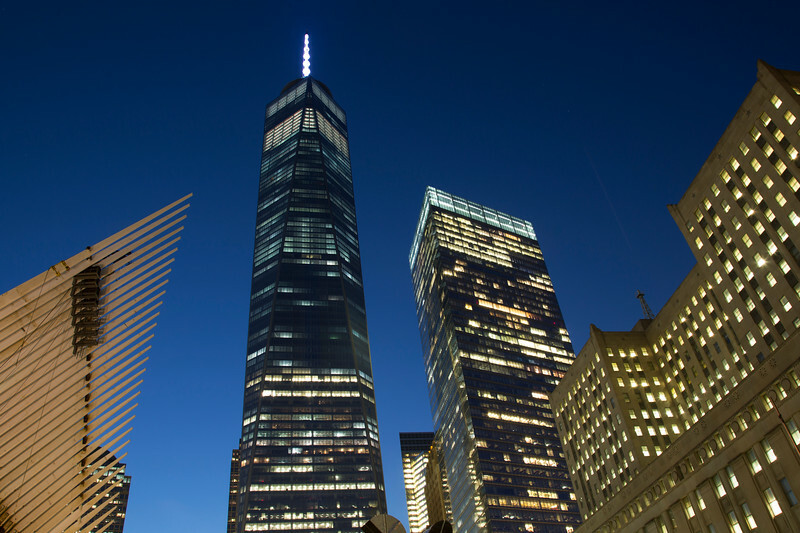 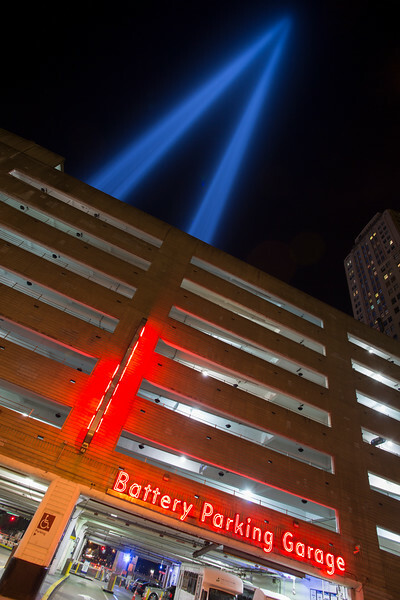 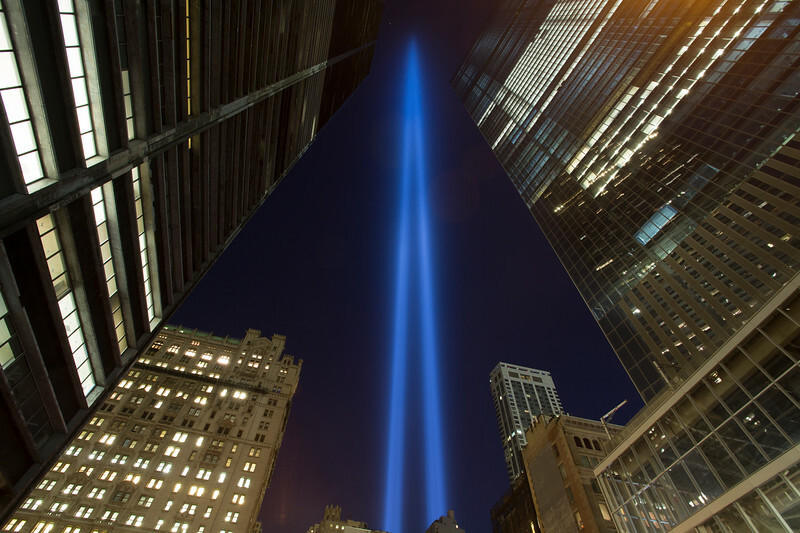 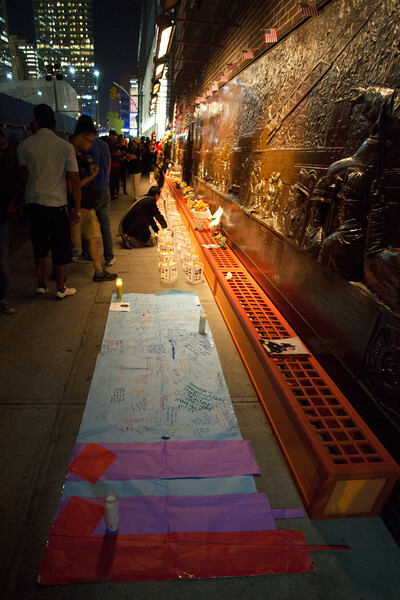 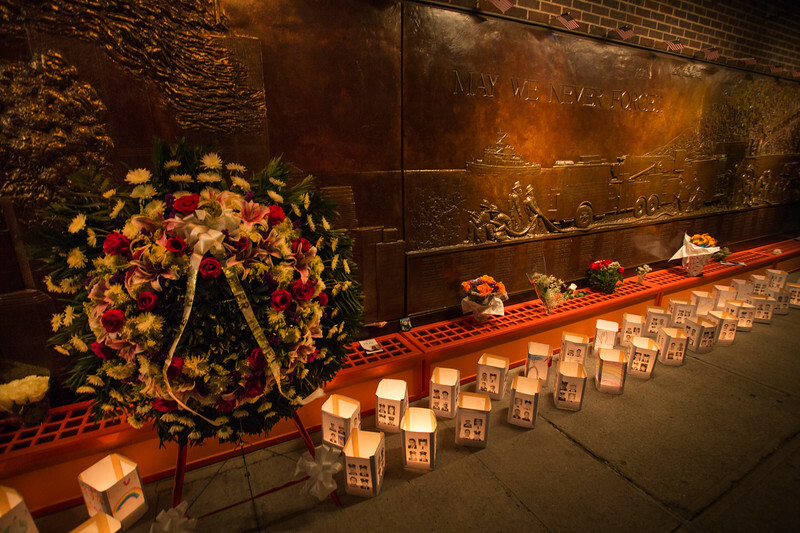 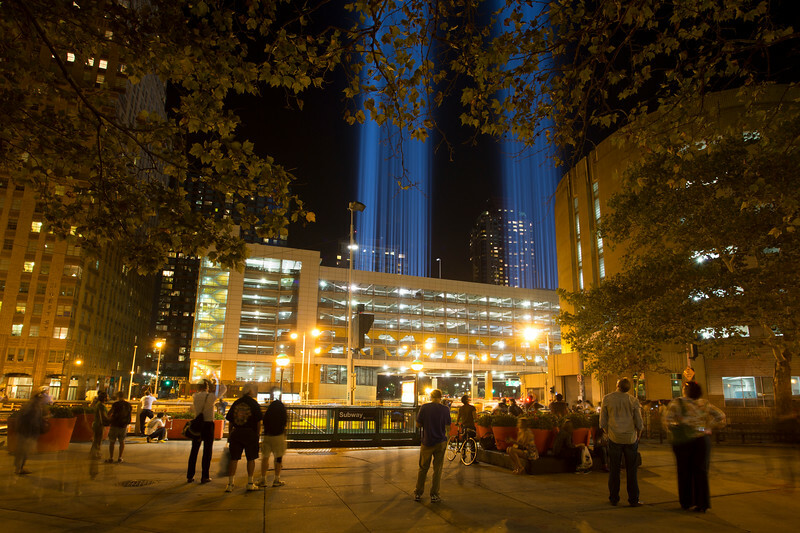 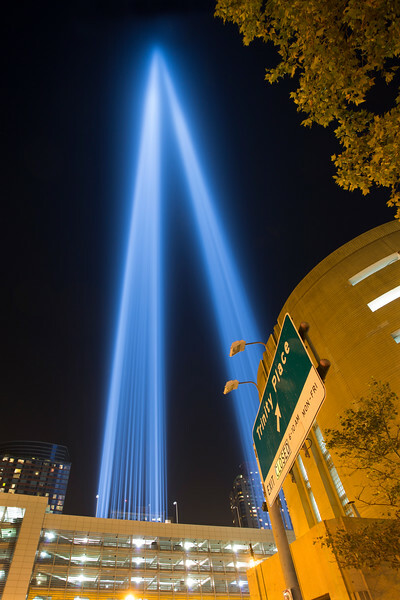 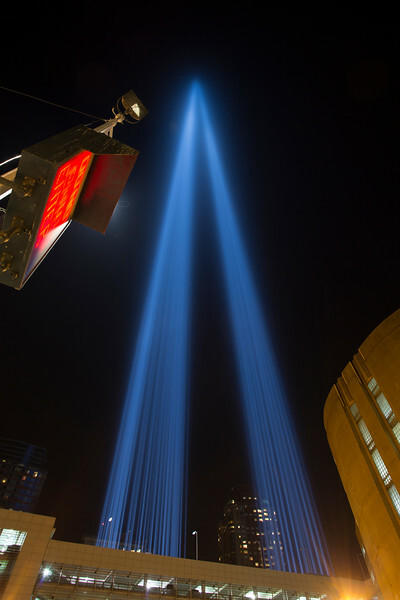 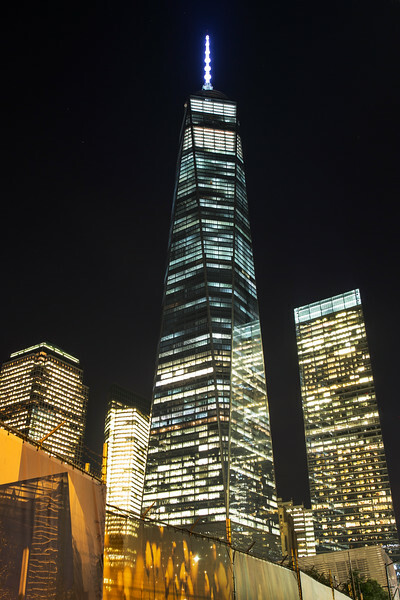 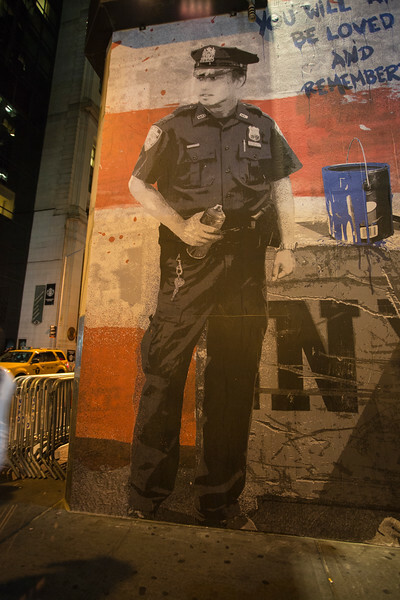 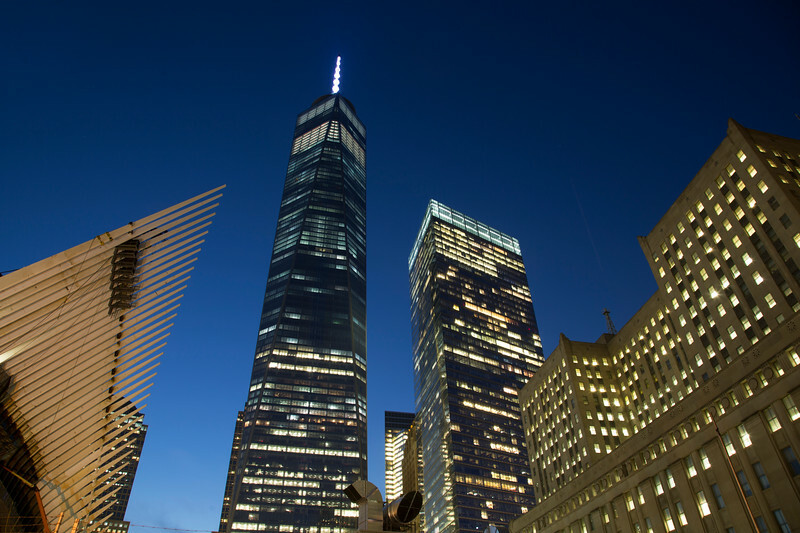 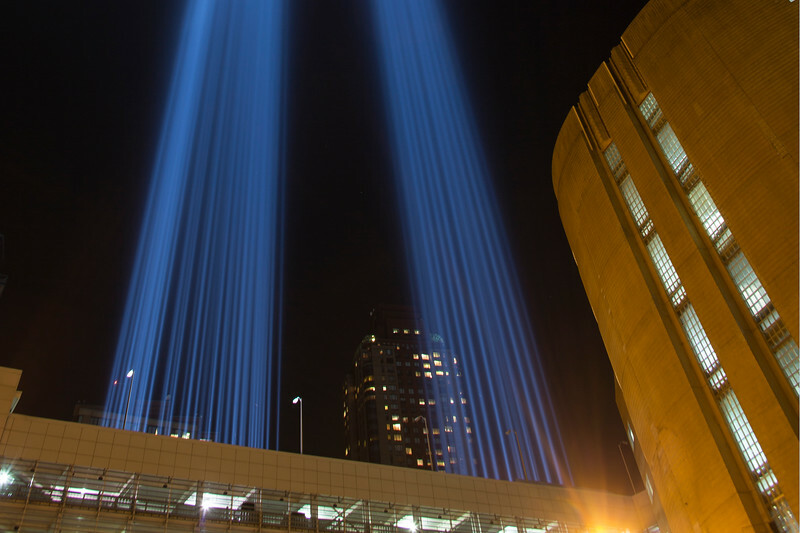 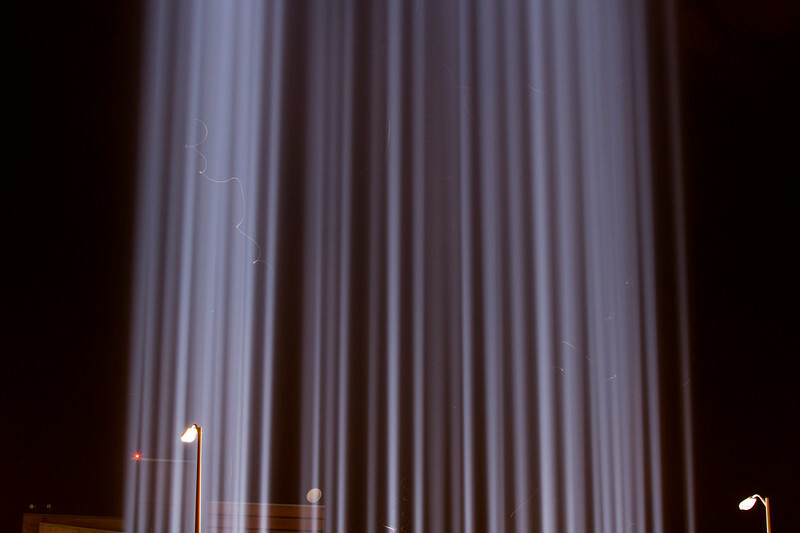 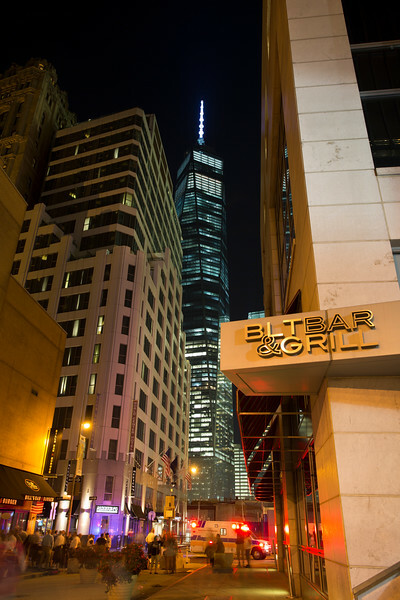 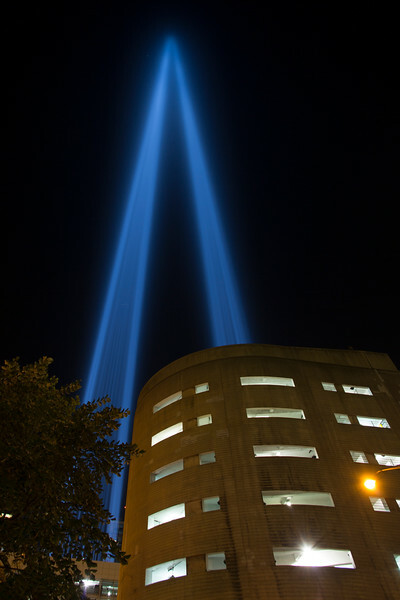 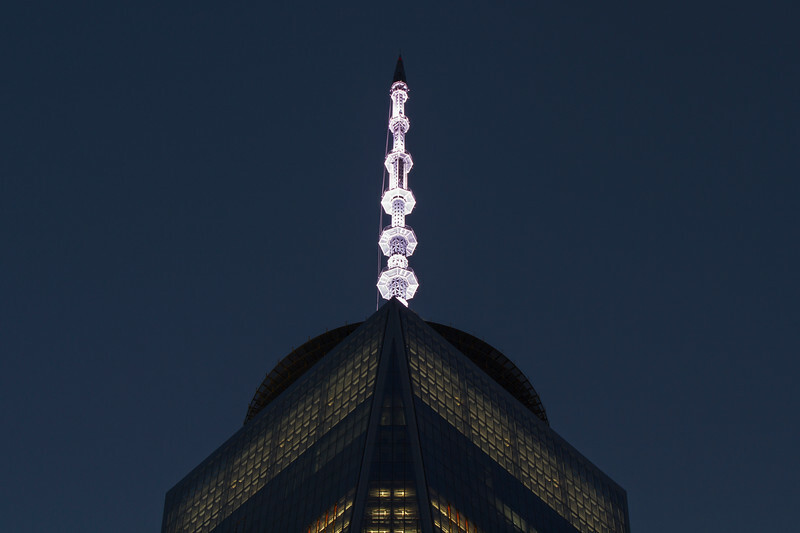 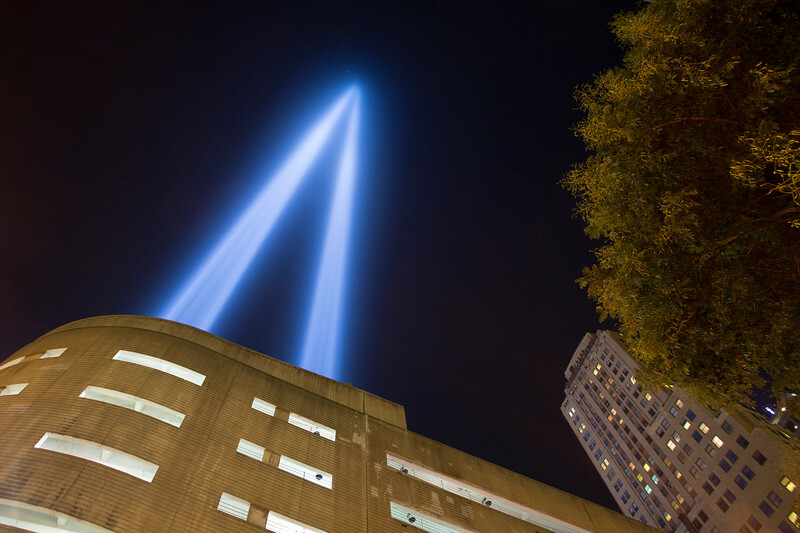 People congregate in a small park between Greenwch St and Trinity Pl in lower Manhattan on September 11, 2014 to observe the Tribute In Light that eminates from the top of the Battery Parking Garage located several blocks south of the WTC site. 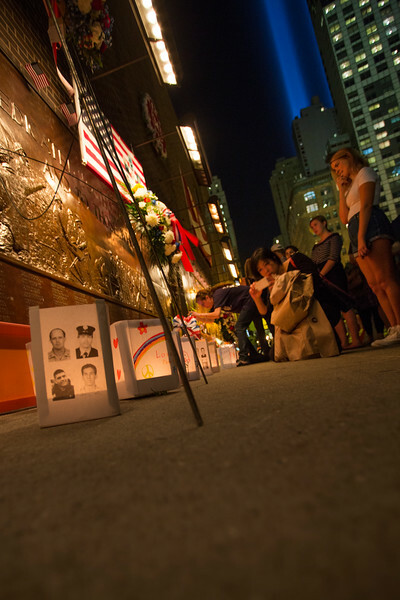 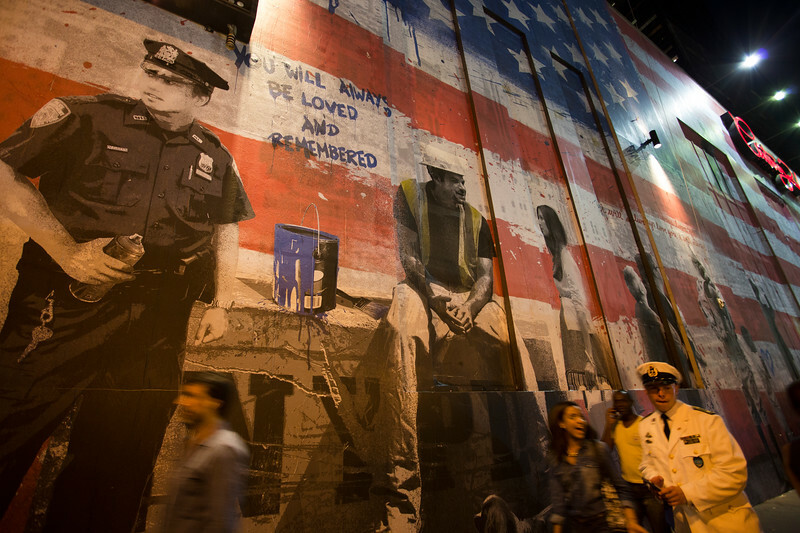 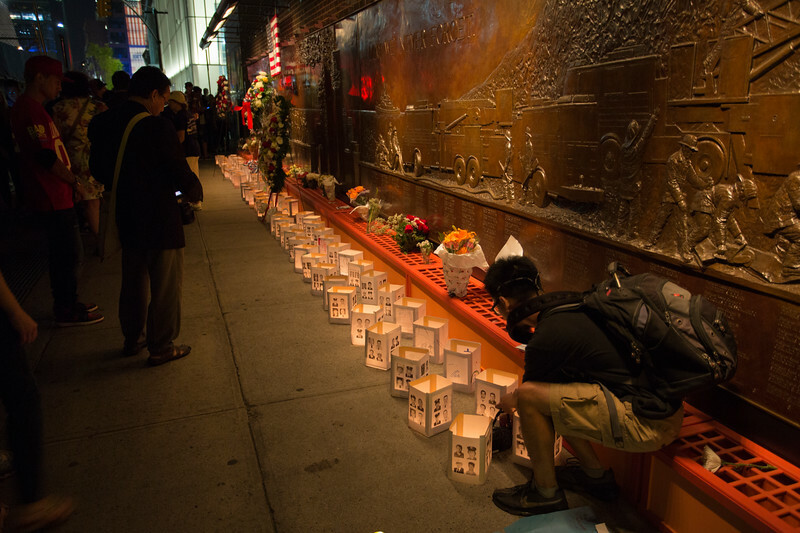 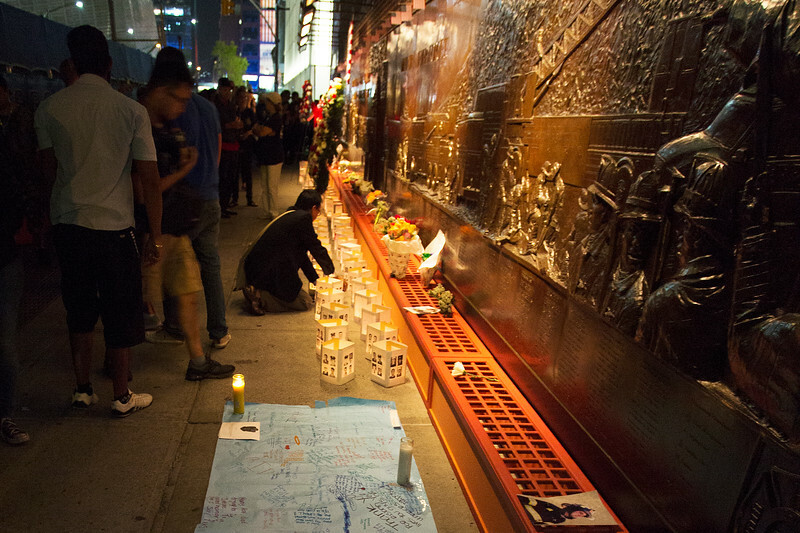 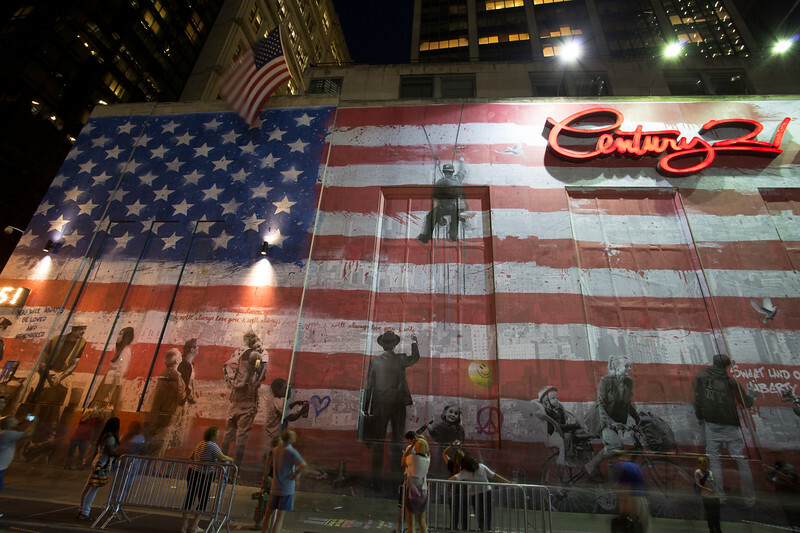 People stop to view the 911 Memorial outside FDNY Engine Company 10 located on Liberty Street next to the WTC site on September 11, 2014. 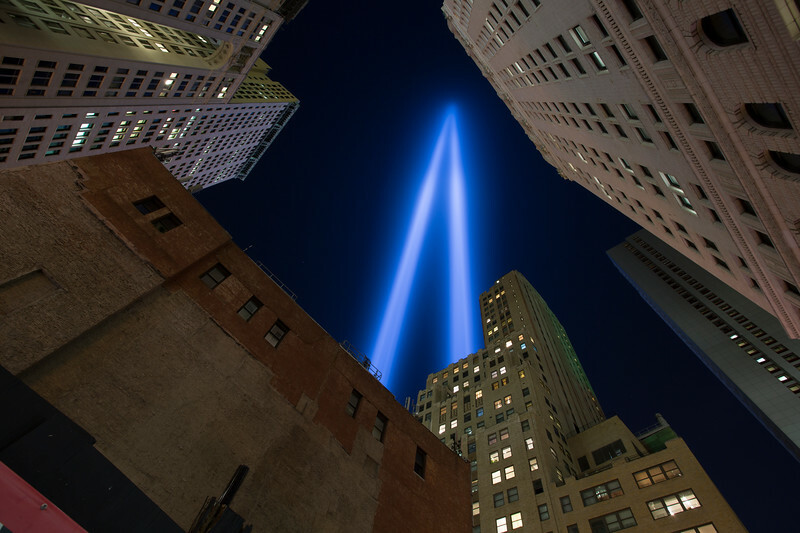 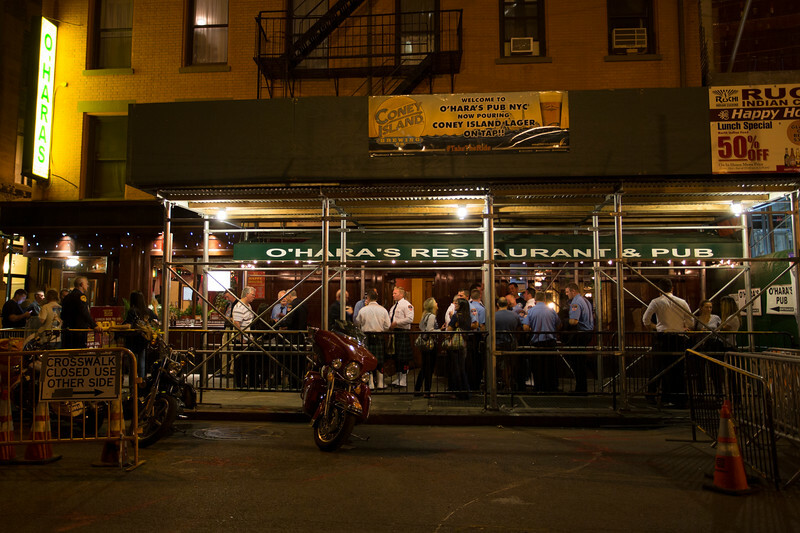 Company 10 lost many firefighters in the 911 attacks in 2001.